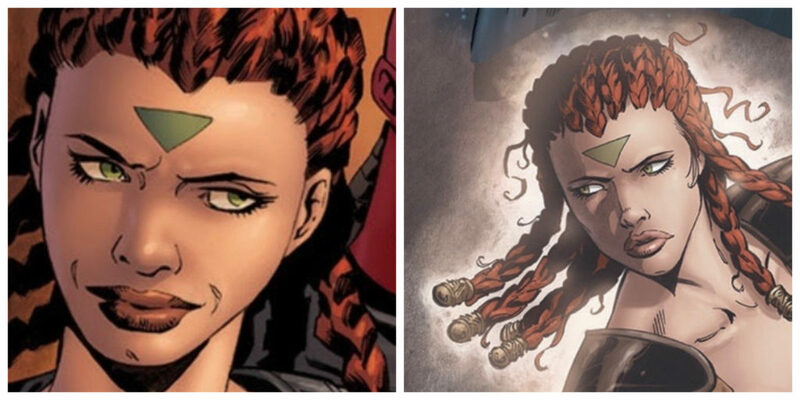 Shae Koda in Dawn of the Jedi: Force Storm 2 (left) and Dawn of the Jedi: The Prisoner of Bogan 1 (right. Shae Koda was a Je’daii Ranger during the Infinite Empire’s reign 25,000 years before the events of A New Hope in the Dawn of the Jedi Legends comic series. To learn more about the Dawn of the Jedi series check out this video from Comics Explained.